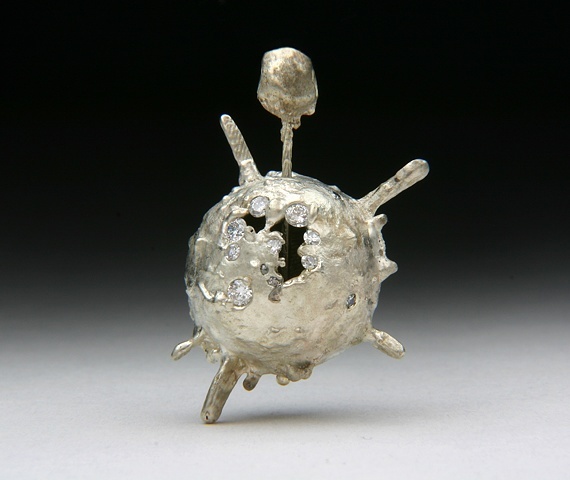 This custom made pendant is a representation of an exploding star. This pendant is made with 34 Diamonds set in a blend of 14kt white and yellow gold at the time of casting. The bale is made to swivel the star around so you can wear it with either side facing. If you want a similar pendant made with gold or other metals please contact me. This piece is sold. Please feel free to contact me about making one like this or a custom variation for you.